The Sunrise Farmer's Market is open daily. 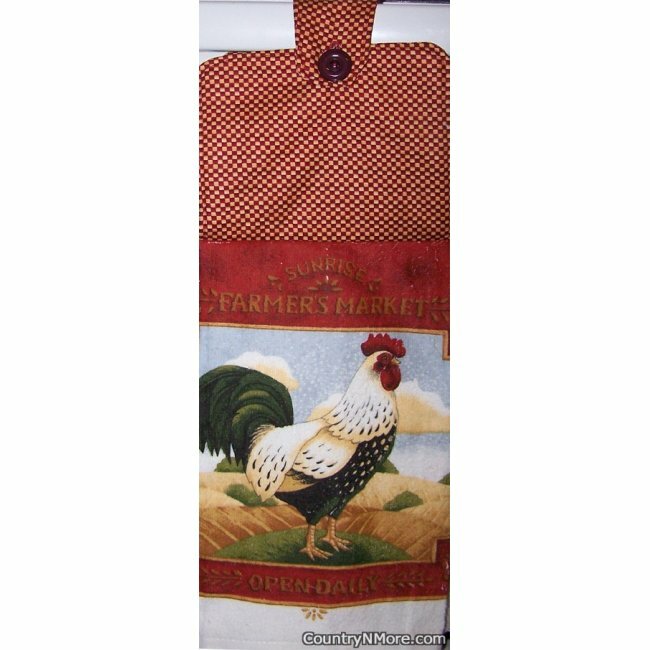 This oven door towel has a gorgeous rooster overlooking the land. The top portion of this hanging kitchen towel has a red and cream checked print. This towel is perfect for the country home and is made using a full towel rather than a half towel on kitchen towels sold elsewhere.